you all have a fabulous weekend. 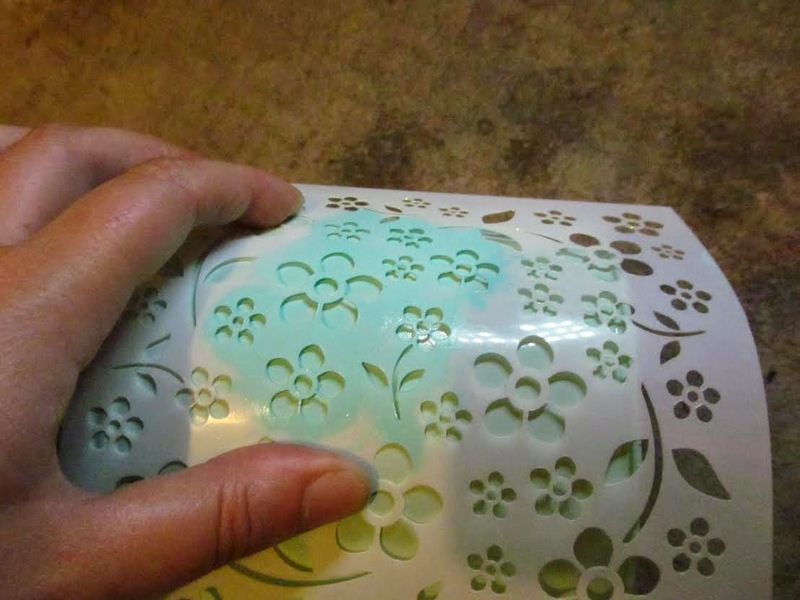 Once you remove your stencil you will be left with a perfect detailed image, look at the depth and sparkle. Put to one side to dry. Finally add some satin ribbon and a double bow. 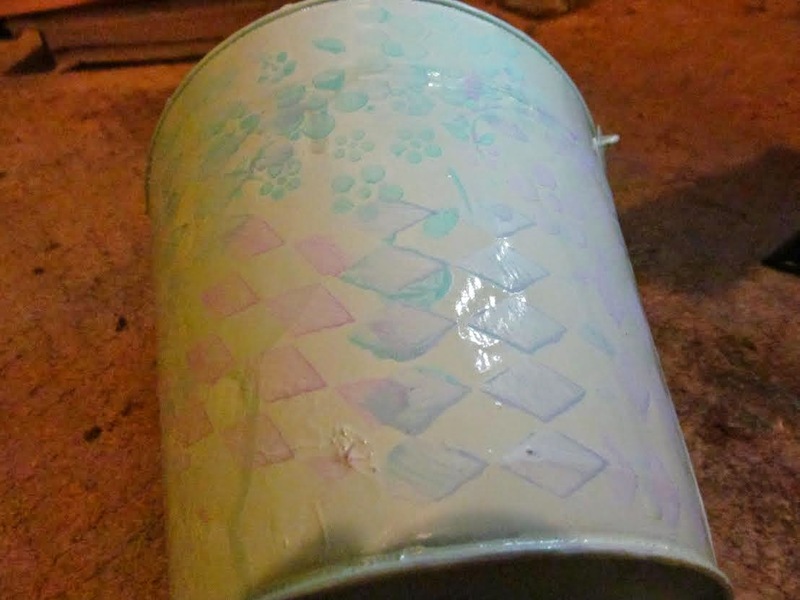 We hope you enjoy this tutorial and thank you for visiting! Wednesday and we have another tutorial to share with you. Today we have Jan's for you. 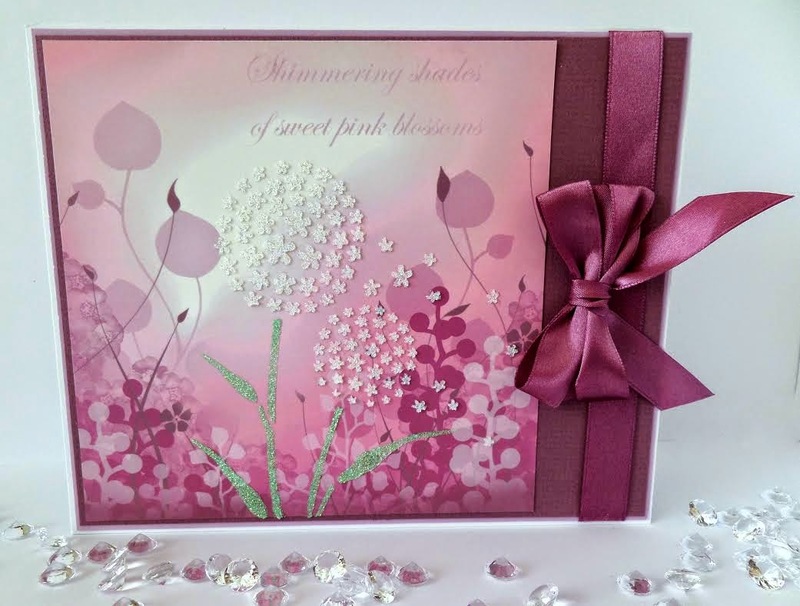 Take a white piece of square card and stencilled two corners with the flourishes stencil using Gunmetal Sparkle Medium, then put this to one side to dry. 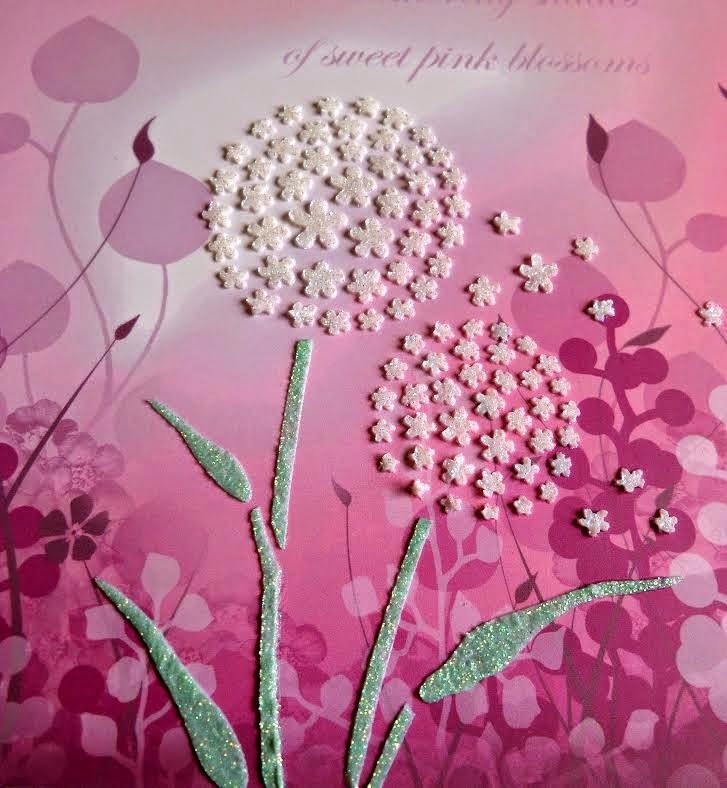 Using Black Glossy Card stencil the whole of the flourishes stencil with Silver Sparkle Medium. 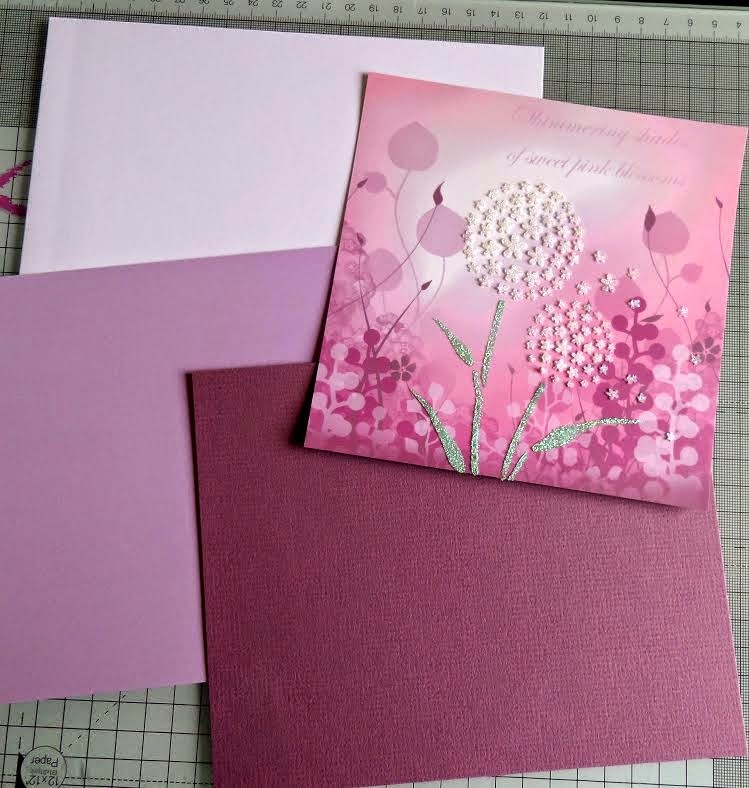 Once both pieces of card where dry matt and layer onto the base card. Using white organza ribbon make a bow and added the Get Well Soon Sentiment. We hope you all enjoy the weekend and had a good one. 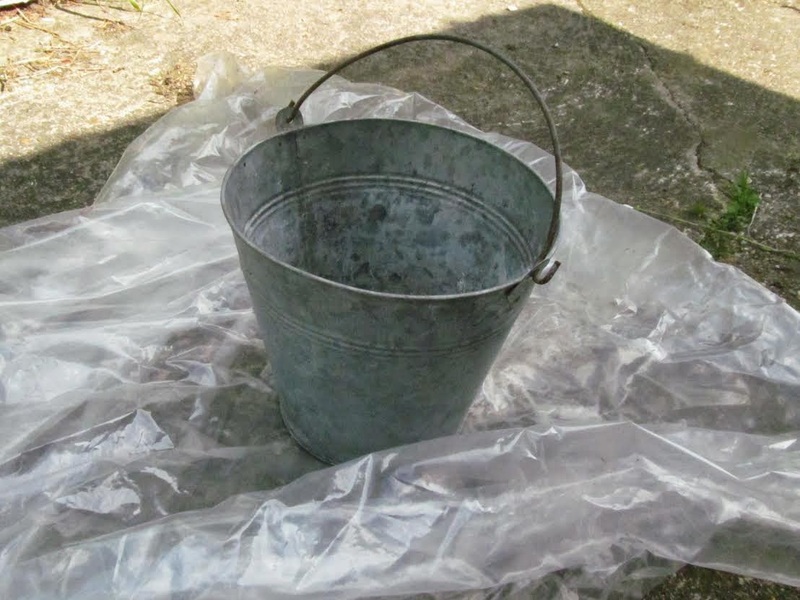 Today we have Lindsay's fabulous tutorial, I never thought a bucket could look so fabulous, what do you think? 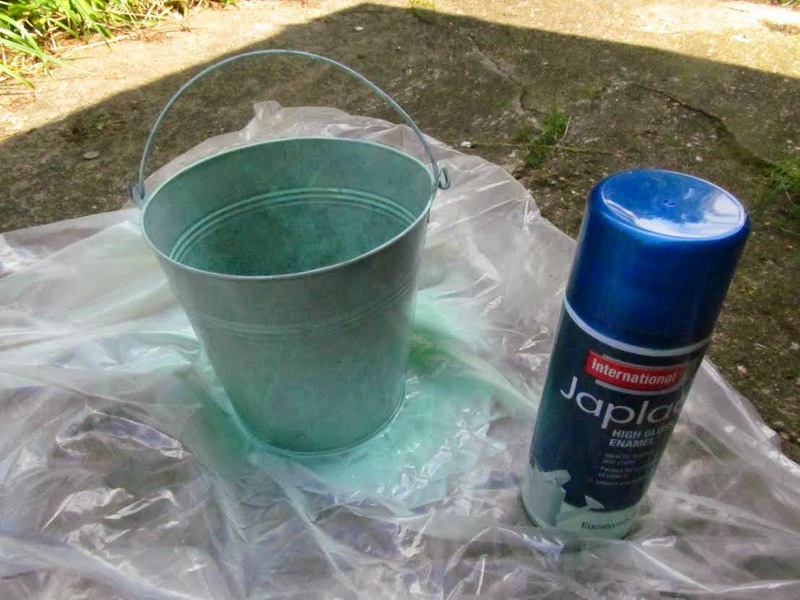 Take an old tin bucket and spray paint it with enamel paint (this will take a couple of coats for good coverage). 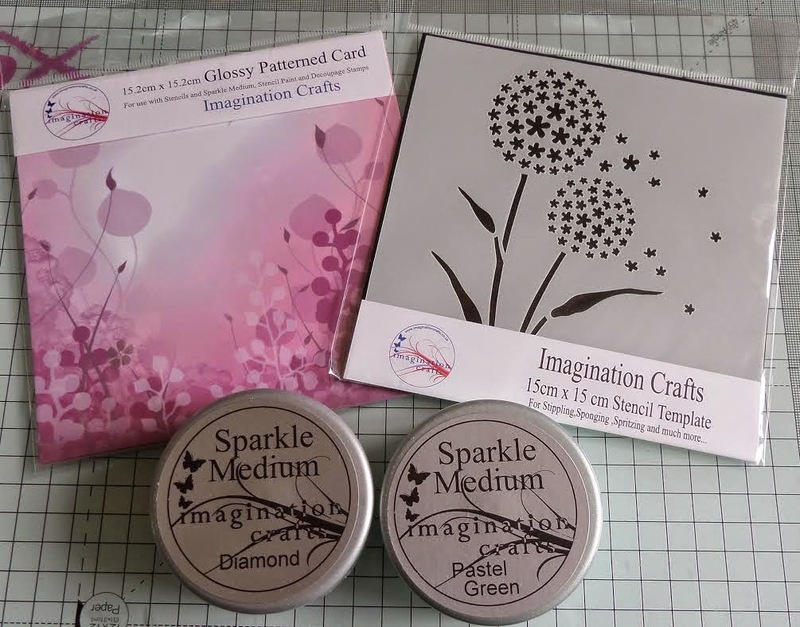 Once it has dried using the Imagination Crafts stencils Daisy Delight, Diamonds and Honeycomb in random patches across the buckets surface in a variety of pale colours of acrylic paint. 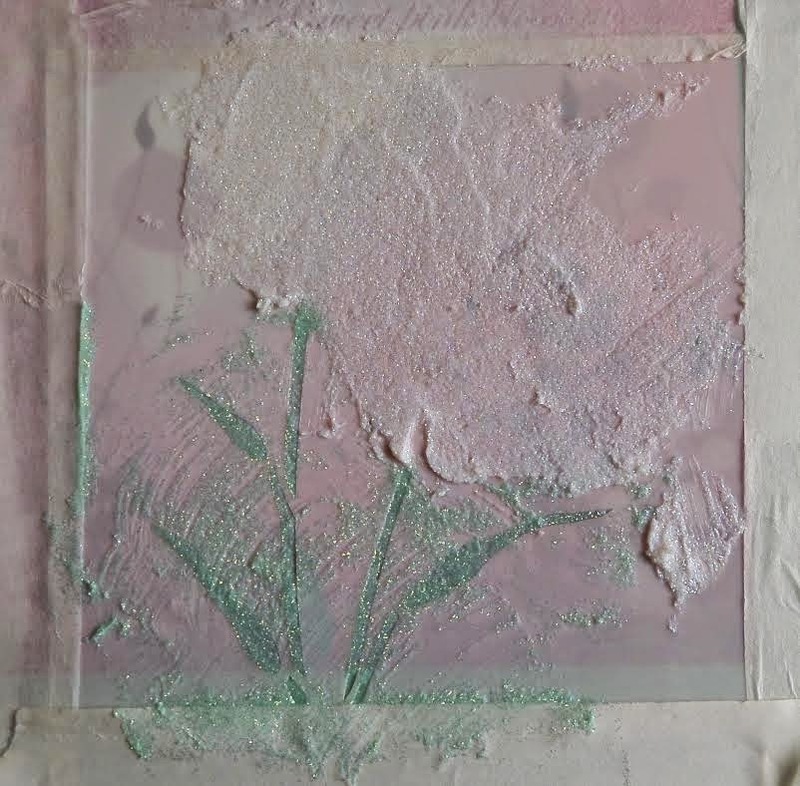 Sponge the paint on through the stencils leaving time for each patch to dry before doing the next so you can overlap them without smudging. 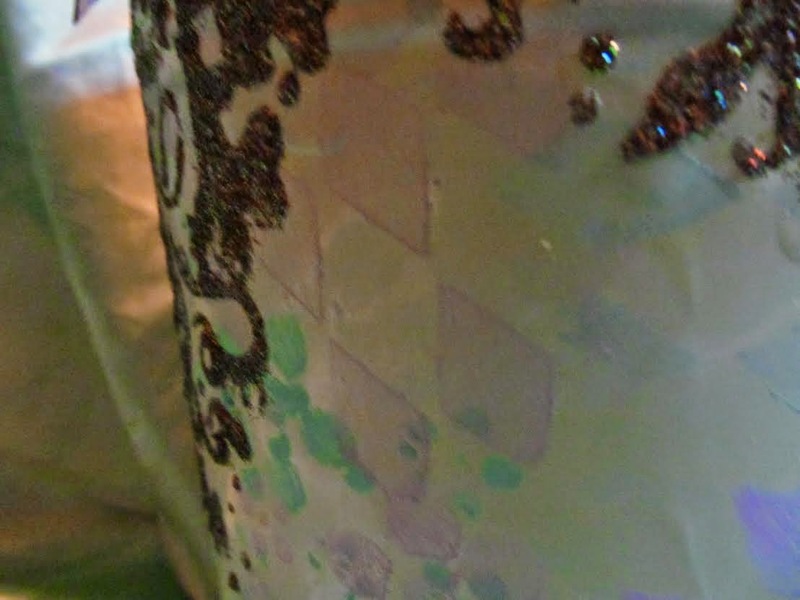 Next using the Arch Of Flowers stencil and Antique Bronze Sparkle Medium around the top of the bucket. 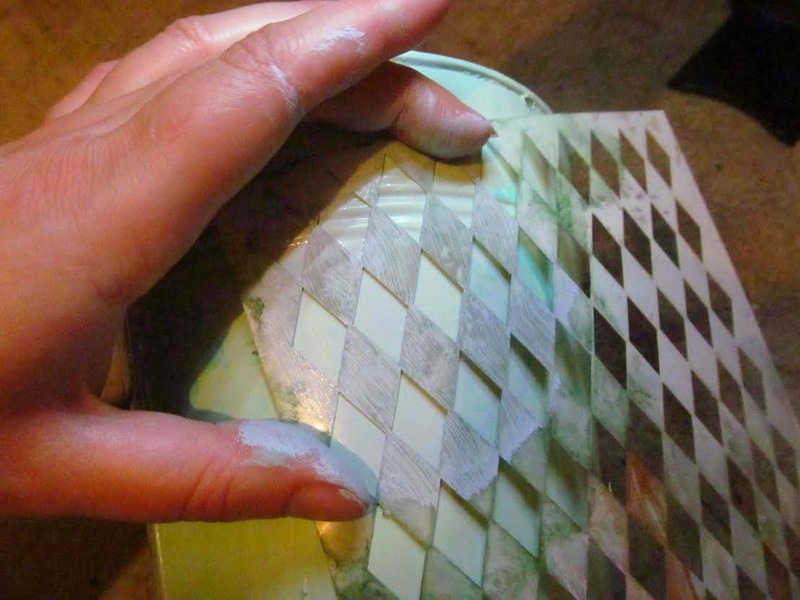 As the pattern goes all the way around the bucket you need to allow the sparkle medium to set after each application so that you can connect the pattern up without smudging the first section. 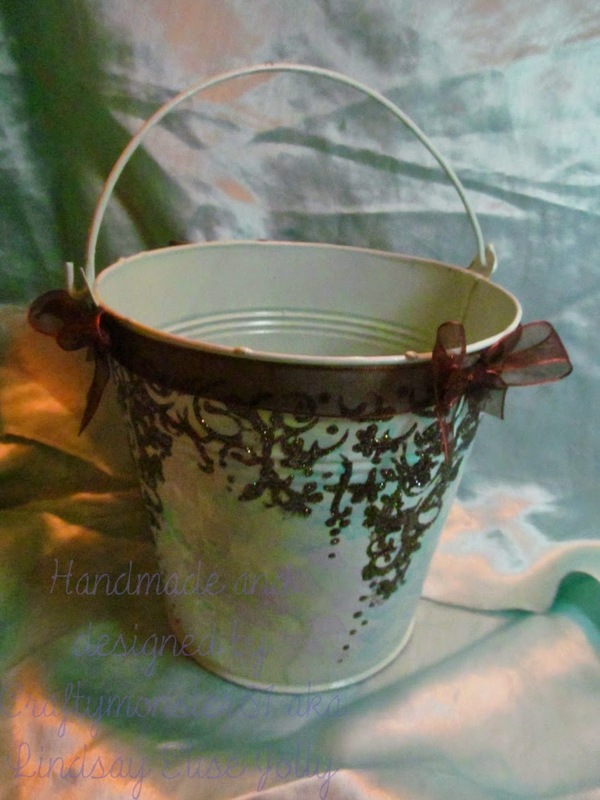 To finish off the bucket add some organza ribbon around the top of the bucket just below the rim and then tying 4 little bows from the same type of ribbon and sticking them on top of the ribbon around the bucket. 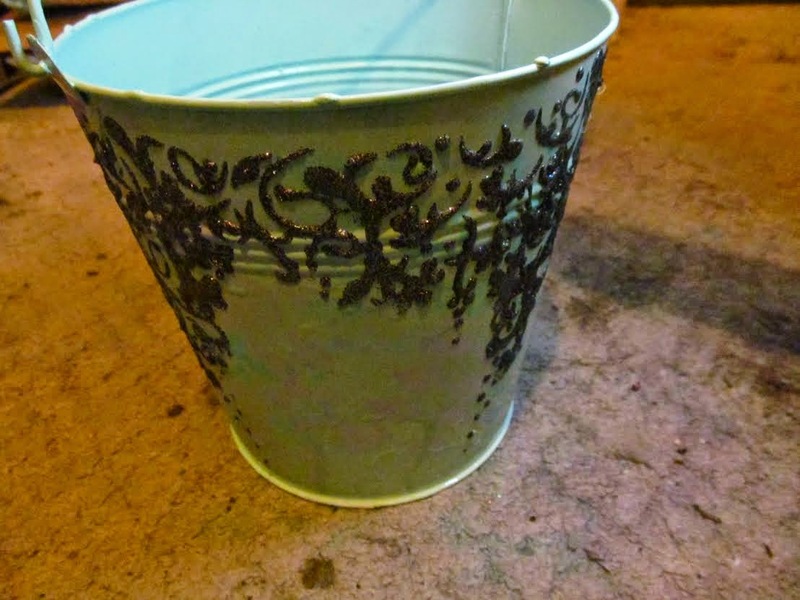 You can now use this as a lovely planter for a plant.